Spinach is one of the leafy green vegetables enriched with high nutritional values. Spinach is rich in water soluble vitamins, fat soluble vitamins, and minerals, and contains a variety of phytonutrients. How to Store Spinach for days and months? Fresh spinach leaves always deteriorate within a few days even if bought loose or packed directly from a farmers market. An ideal container is required to store the spinach at the correct temperature in the refrigerator. Do not store the spinach as it was bought. Clean and dry it properly with no water drops remaining on the leaves. Store it in a dry container or plastic bag but do not store it for long long time. Store the spinach in a clean and dry container to prevent it from being crushed as it would if kept loose or in bags. Keep the spinach in your container wrapped with paper towels to absorb moisture and your spinach will remain fresh. Place the container in the refrigerator drawer to save them for a few more days. If you want to consume the spinach within 2 to 6 days of purchasing then store it in a dry plastic bag after proper drying of the leaves. The moisture can be removed by patting the leaves with a paper towel. Also, a paper towel can be kept inside the bag to absorb excess moisture produced during the storing period. Try to store the spinach at a cold place rather than freezing it. Temperature adjustment also plays a vital role in the spinach storing process. Keep the refrigerator at around 39 degrees Fahrenheit to prevent the nutrients from escaping. Don’t keep it as high as 50 degrees, or else the freshness and elements of spinach will be lost in no time. Spinach freezes at 32 degrees Fahrenheit or when kept below 32 degrees. So, temperature and placement of spinach in the refrigerator should not be ignored. The above- mentioned methods are to store spinach from 2 days to 2 weeks at maximum. If you are planning to store the spinach for months, then freezing it is the best technique. Let’s have a quick overview of this method. Put the spinach in boiling water for a couple of minutes, then let it cool down in an icy water bath for another couple of minutes. Squeeze the water out from the spinach by gently twisting it in your hands. Give the wet spinach shape of medium sized balls and wrap them tightly in plastic wraps. Store the balls in a freezer bag and freeze them for months. Defrost the required quantity of spinach when you want to cook it. You can also freeze it directly instead of making balls of it. 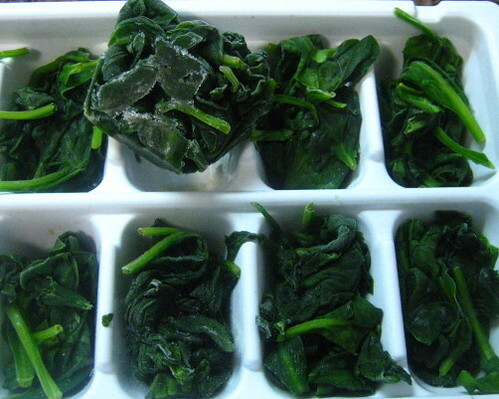 This frozen spinach can last its nutritional values for almost 6 to 14 months. Above listed are all the best possible ways to store spinach by maintaining its freshness and healthy minerals. Spinach should be stored within 2 to 3 days of purchase otherwise, the greens will start rotting. Try steaming the spinach instead of boiling or putting it in the microwave because studies have proved that the former has less loss of Vitamins than the later ones. Also, 25% of the folate and a few other nutrients are lost while cooking process. It is mentioned over and over again to keep the spinach dry while storing it. So, don’t neglect this important tip if you want to store spinach for a pretty good time. However, this drying tip is not for the boiled storage method. If you are storing spinach without boiling it, then do not place it near ethylene producing fruits. Fruits such as bananas or apples excrete chemicals and the spinach will decay prematurely. An overripened apple or any other rotten fruit in the refrigerator can cause the spinach to rot and decay faster. Along with all the above- mentioned vitamins and elements, spinach is a good source of dietary fiber, phosphorus, zinc, and many other nutrients. Spinach is so important in our diet that the story of famous “POPEYE” was based on its high nutrients and benefits. Who can forget the “POPEYE” and his adventures, grabbing the attention of kids and encouraging them to eat spinach? Who won’t like to be as healthy as POPEYE? Everyone who knows the importance of spinach will try to have it as much as one can to keep themselves healthy and active. People find numerous ways to incorporate spinach into their diet and search methods to store it for a long time and use in off-season. Before going to the ways of storing spinach, why not have a look at how to select the best spinach and then read about storing it? You may know or may know a little about how to select the best spinach if you blindly trust or your vendor. Let’s see how to select the best spinach. The spinach leaves you choose must be crispy and perky upon touching. The leaves should be good in shape and emit a bright green color. They should be soft and have a velvety texture and should have no symptoms of wilting. No dark spots and no discoloring. If by chance you have chosen the leaves that have started to wilt then you may use them in soups or meatloaf. Another method is to use them as soon as possible rather than storing them. You should search for fresh green spinach with crispy leaves. The spinach should look like as it’s just plucked from the farm. Try to look for the organic one as most of the available spinach in the market have high pesticide residue level. You should ignore buying the spinach with yellow or brown leaves and discard the rotten leaves with blemishes. They are quite unhealthy and unappetizing. You should also keep in mind the recipe you are going to use the spinach in. A flexible and thin stem shows that the plant is a young one and, a thick and fibrous stem indicates a tough and mature plant. 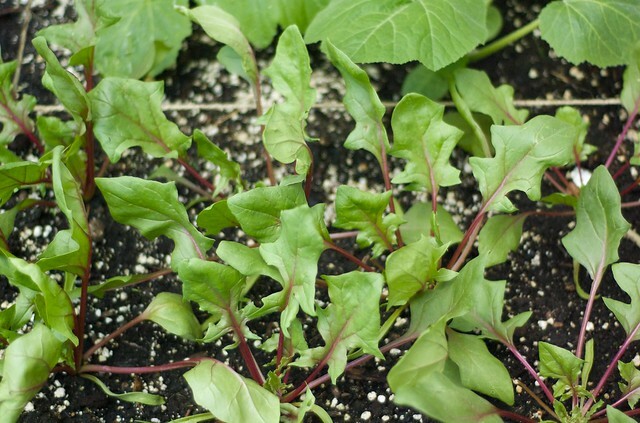 The young plants are good and appealing when served raw, such as, in salads while the mature one is best for cooking. You should check the stem of the spinach too before selecting and buying it. At times, buying the fresh spinach is not certainly the best choice. A lot of nutrients are lost in spinach if not used within a few days of being harvested. If you are unable to find really fresh leaves then go for the canned and processed one. The canned spinach is processed immediately after harvesting- keeping the nutrients intact. Fresh spinach may also lose nutritional values after traveling for several miles. To avoid the spinach with fewer nutrients, you may prefer frozen or canned spinach for a healthy diet. At the time of purchasing spinach, avoid carrying it in plastic bags or wet containers. Make sure that the spinach you are buying is dry and has no moisture. Avoid spinach from excess moisture because it will rot the spinach in very less time. Also, wash it at the time of use only. Hopefully, by now you’d know how to select the spinach with all the nutritional aspects.